for hot, dry locations with poor soil. 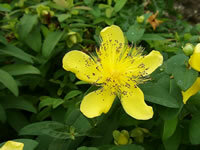 There are over 400 species of Hypericum that includes annuals, perennials, shrubs and 10 ft. trees. 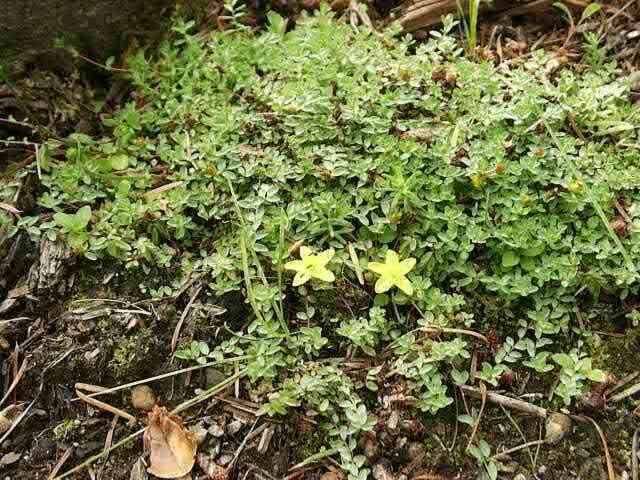 They are vigorous growers which in some cases, can be invasive, but they are an excellent plant for erosion control, as a ground cover, in rock gardens or for border plantings. St. John's Wort produces long lasting, bright yellow flowers with prominent gold stamens from mid summer until mid fall. Once established, these deer resistant and durable plants can tolerate neglect, drought, and poor soils. Many species make good seaside plants, due to their tolerance of salts. The low growing Hypericum calycinum is commonly grown as a ground cover and will grow 18 inches tall, and spread 15-24 inches. Shrub forms can grow from 1-5 ft. tall and wide. Depending on the individual species, St. John's Wort may survive in USDA hardiness zones from 3-10. St. John's Wort should be grown in a spot where they will receive full sun or partial to light shade. Plant them in average to fertile, well draining garden soil. Prune back hard in the spring to maintain a compact growth. 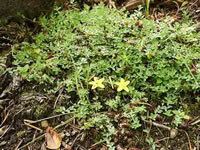 St. John's Wort are succeptible to damage from Rust infections, Scale insects and Thrips. 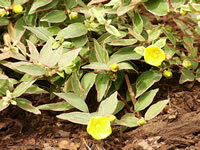 St. John's Wort plants are fairly easy to propagate with softwood cuttings taken during the summer months. St. John's Wort seeds can be sown directly in the garden in the spring or summer, up until two months before the first killing frost. Seeds can also be started indoors.